Family adventure. 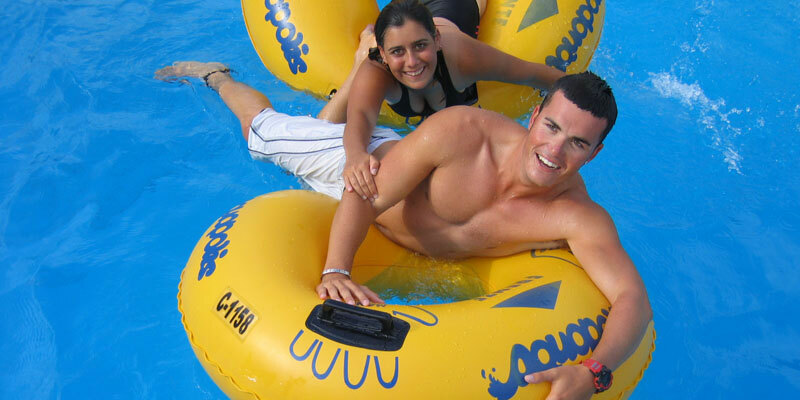 Without making great efforts and in a relaxed fashion, this attraction is designed to be enjoyed with your family and friends, so that you share with them the fun of tranquilly following its calm water current. Walk round this peculiar river Amazon, whose force will carry you along 180 meters so that you can relax with the soft swaying of this water cruise. The excursion can be made on a float, by swimming, floating or on foot, with the charm of being able to hold on to your parents, children, partner or friends. The peace of this calm water current and the landscape you enjoy as you slowly descend down it allows you to refresh yourself on a warm day in good company, in a more exciting and original way that in a simple swimming pool. 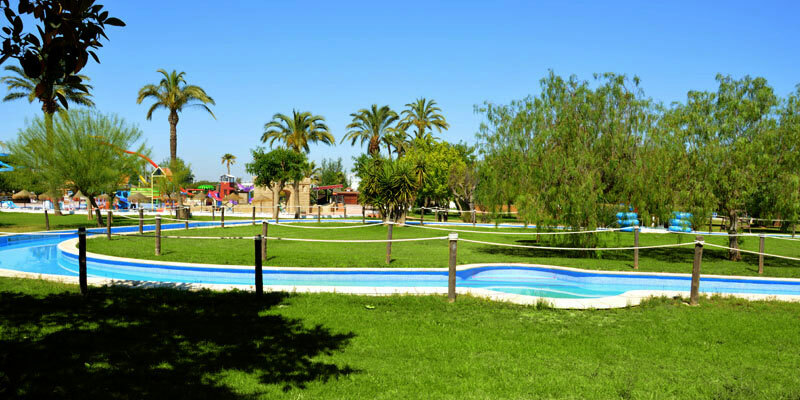 Designed for all types of people, the daring and those are calmer, this facility is exactly the opposite of another descent down a river that is in Aquopolis Torrevieja, the Rapids. In Lazy River called Amazonia River, calm will flow through your veins as you soak yourself, the sun washes your face, as you look at the greenness of the vegetation in the surroundings and chats with your family and friends.